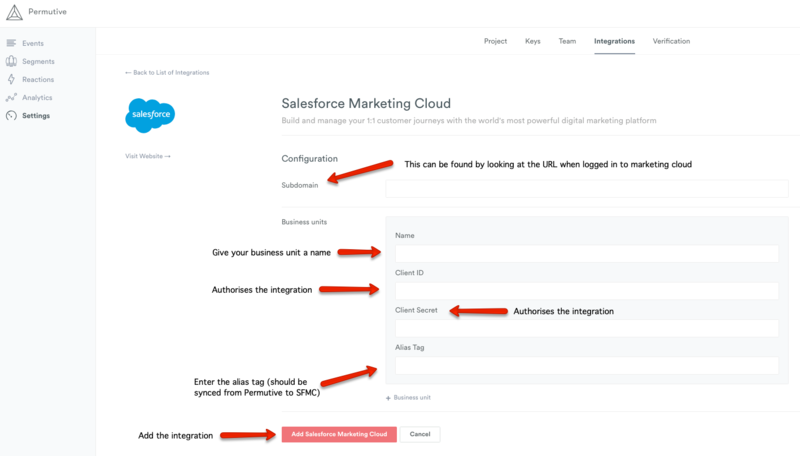 Using the Permutive Salesforce Marketing Cloud integration you can build and manage your customer journeys using Permutive segments. Click here to find out how to send Permutive segments to SFMC. If you wish to revoke Permutive's access to a specific Business Unit then delete the package in Installed Packages. To add more than one Business Unit, select the + Business unit button. Select Add Salesforce Marketing Cloud. The integration will be available for use in under 20 minutes. Please contact us via support@permutive.com or through LiveChat if you need help configuring this integration.